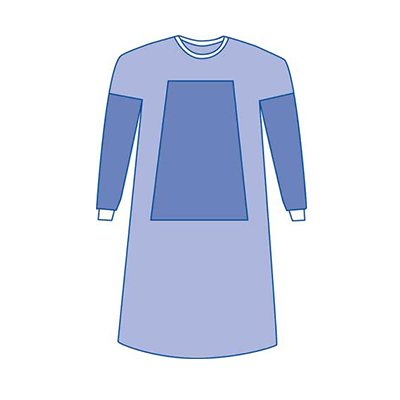 The choice for a high level of protection To the surgeon, comfort and protection are both very important traits in a surgical gown, especially during extended procedures. Most gowns, however, require a compromise of one quality or the other. Medline’s Aurora surgical gowns are the exception. Aurora combines both exceptional barrier performance and superb breathability, giving surgeons the best of both worlds. • Excellent protection – Exceptional barrier performance with a high hyrdostatic head. • Breathable and comfortable – Advanced material quickly transfers heat away, keeping the wearer cool and comfortable. 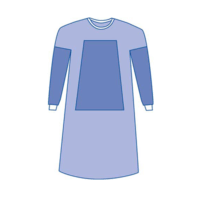 • Optional raglan cut – Provides roominess and a larger sweep, making movement easier. For more information on Medline’s Aurora Surgical Gowns, please visit www.medline.com.